Ian Robert Woodall was found guilty of defrauding a London pension of more than £1 million. 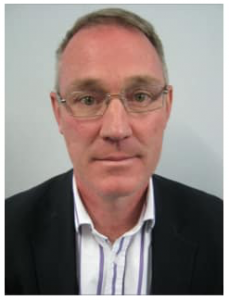 The former interim CIO for Westminster City Council in London has been sentenced to seven years in jail after being found guilty of fraud and money laundering following a 10-day trial at Southwark Crown Court. According to London Metropolitan Police, between January 2009 and December 2012, Ian Robert Woodall defrauded the pension fund of Westminster City Council of more than £1 million ($1.3 million). Woodall was employed as a contractor through his own firm Lonkal Consulting Limited, and despite not being an employee of Westminster City Council, he had been the interim CIO for several years through various contracts. In 2010, the council decided to hire a permanent pension fund manager, and the role was externally advertised. As a result, Woodall stopped working for the council around October or November of 2010, according to the police. In 2013, an accountancy firm which had audit responsibility for the council discovered significant discrepancies within the staff pension fund and found that approximately £1 million had been illegally removed. After senior auditors investigated that allegation, they identified four suspicious transfers that occurred in 2010 for which there were no records or information available. The transfers ranged in size from more than £22,000 to £741,000. As part of that initial review, in December 2013, the auditors conducted an initial fact-finding interview with Woodall, who was unable to provide any specific detail into the transactions. The council then decided to report the matter to the Metropolitan Police for further investigation. The Metropolitan Police’s Fraud Squad, which is part of the Organized Crime Command, launched an investigation and found that Woodall had abused his position to steal the funds. The police found Woodall had diverted the funds through Swiss bank accounts and then back into the UK, where it was distributed to his personal and company bank accounts. Police say Woodall then used this stolen money to fund the purchase of his house and cars, and to support his lifestyle.